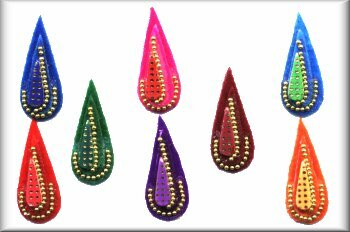 Multi coloured raindrops decorated the tiny gold beads. 8 per pack. FREE POSTAGE AND PACKING WITHIN UK.